Richmond Food Not Bombs has been serving free, vegetarian meals for over 23 (24?25?) Years now in Richmond. Usually served in Monroe Park, the group has persevered through the closing of that park and now serves routinely on Sundays in Abner Clay Park. Additionally they serve on Mondays and every night when it is below 40 degrees outside of the cold weather shelter in Richmond. It will be in the single digits next couple nights. Please encourage people sleeping outside to take shelter at the Cold weather/Overflow shelter at 9th and Marshall. Make breakfast at your house and serve there at 5am sharp or come help cook at Createspace on Wickham at 5pm every night if you want to do something nice. The new art is by Bizhan of Mended Arrow. http://www.mendedarrow.com for more of his amazing work. 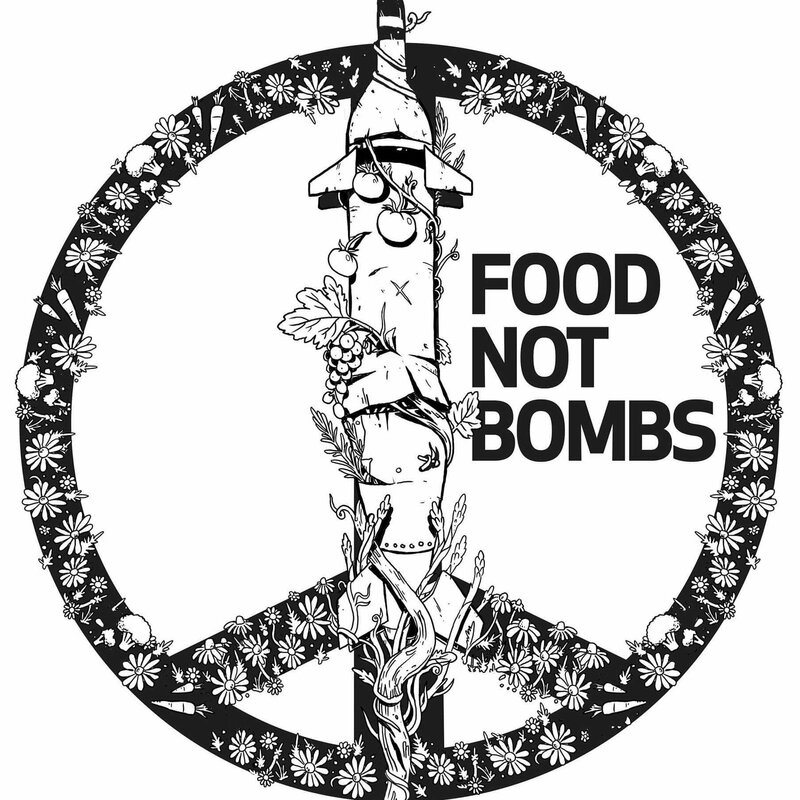 The cooksite for Food Not Bombs is at Create Space at 607 Wickham Street on the Northside. They are always looking for donations of money, food, kitchen equipment, vehicles, kitchen equipment repair or vehicle repair. 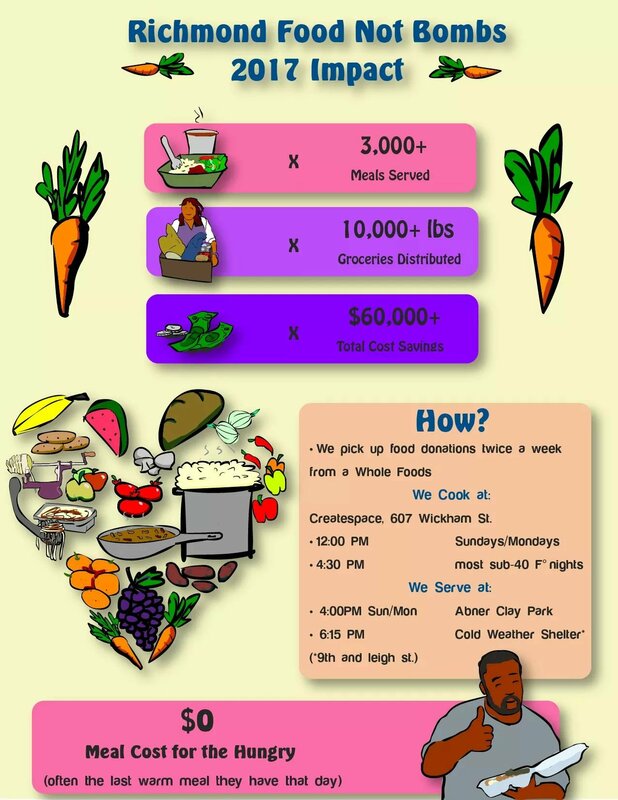 They are also always looking for volunteers to drive, pick items up, help cook, help clean, and help serve. Helping with promotion is another way you can get involved. 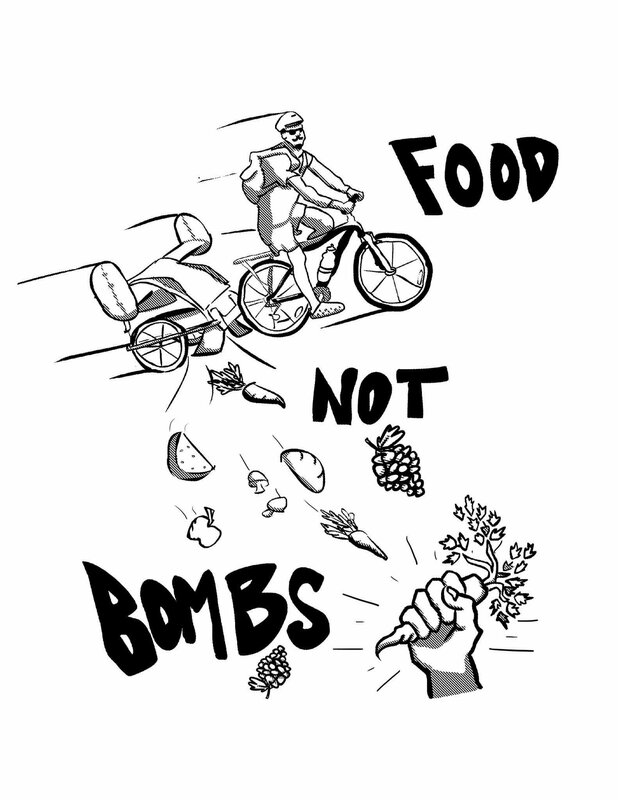 Food Not Bombs seeks to save food from landfills, keep people from being hungry, and work for housing justice. The group does a ton of solidarity work with homeless/houseless people. 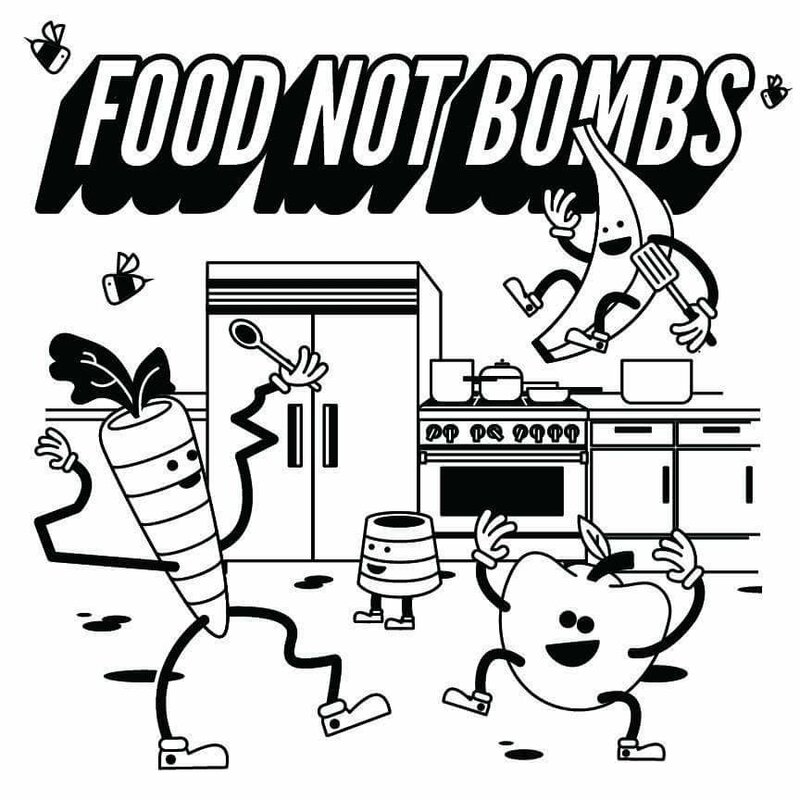 Find Richmond Food Not Bombs on Facebook and get involved!! !